When building a new business you have many choices to make when it comes to your roofing. Trust your local experts. Your Number One Choice in Roofing. Triple K Roofing has been in business since 1990 and is one of the best respected commercial roofing contractors in Eastern Idaho. Since 1990 we have installed countless commercial roofs ranging from small storage units to large office buildings, restaurants, libraries, and schools. Our crews and management teams are experts at repairing, maintaining, and replacing commercial roofs. Many of our commercial roofers have over 20 years of roofing experience. We take pride in the quality of our workmanship and it show in the jobs that we do. Triple K Roofing has the resources and equipment to complete roofing projects for office buildings, industrial, retail/restaurant, and multi-family units. With our own warehouse, you do not have to wait days or weeks for products to be delivered. We carry most items in stock at all times. Don’t worry about the hassle of waiting for products to get the job done. We will do it right the first time with quality roofing products. Commercial roof replacements can be costly but with a budget, in place, a business can prepare over time to pay for their roofing needs eliminating the surprise of replacing their roof. 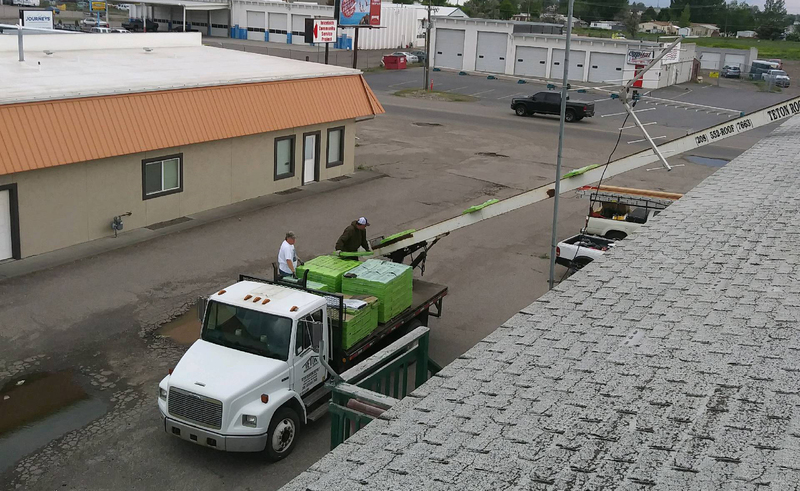 Local Warehouse eliminates the need to wait for the product to be delivered.